Ignacio came to CLT Argentina over ten years ago with a wealth of knowledge and experience in the field of wildlife conservation. Beginning his career with a degree in Animal Biology from the Universidad de Valencia in Spain, and a Masters in Wildlife Management and Conservation from the Universidad Nacional in Costa Rica, Ignacio has gained decades of field research and management experience from around the world. 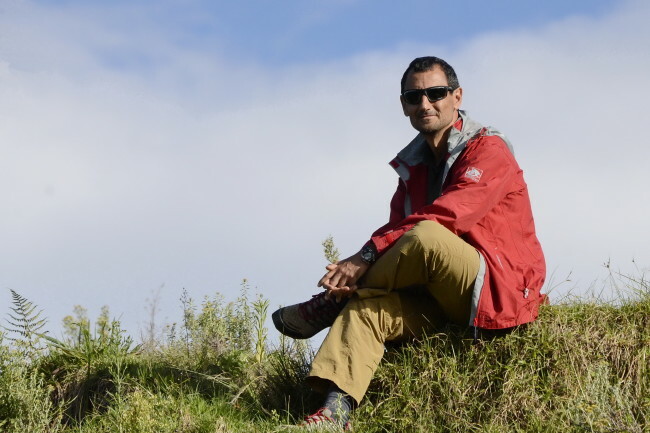 From the study and management of manatees in Costa Rica and Nicaragua to the assessment of endangered species protection in Spain, Ignacio’s work to research, manage and restore wildlife has put him at the top of his field. Also a professor, Ignacio has taught well over 20 courses in Spain, Costa Rica, Guatemala, Argentina, and Chile about interdisciplinary issues related to conservation. 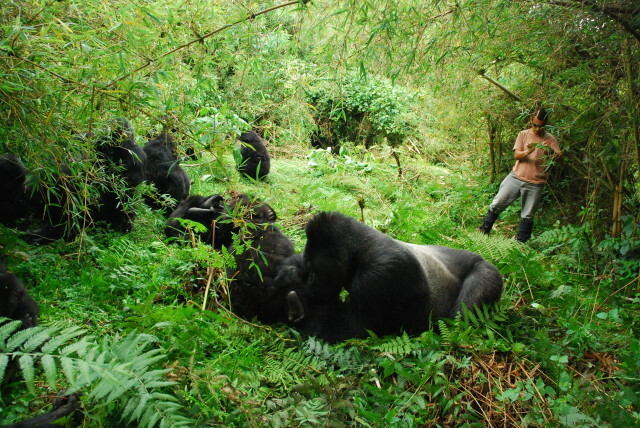 His research and conservation efforts have been featured in various scientific journals, books, and other publications. Q: How did you first get involved with The Conservation Land Trust? A: I was travelling with my Argentinean girlfriend (now my wife and mother of two beautiful, wild daughters) through Pumalín in January 2005. 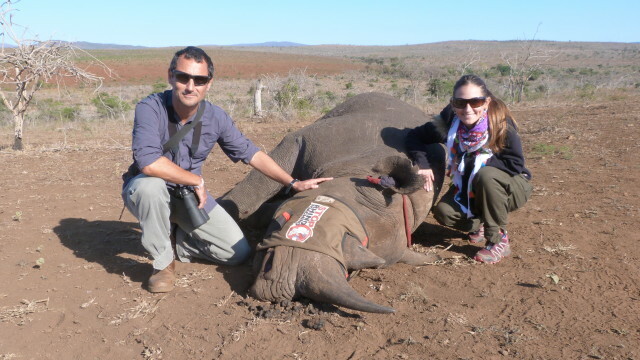 I had just moved to Argentina from Costa Rica and was looking for some exciting conservation work to do. While I was at the cozy café at Caleta Gonzalo I was wondering, what is this organization that is trying to manage a private reserve as a top-notch national park? Then I saw the book about the 10 first years of CLT. Going through the pages I discovered that they had a project in a place called Iberá in Argentina, which sounded slightly familiar to me. Then I saw that they were planning on reintroducing six species of mammals. I knew that nobody had tried something like that in South America before, and I thought, “these guys are crazy!” And then, “if someone can do this, maybe it’s them.” A few months later I got in contact with Sofía Heinonen, who was just starting a conservation team and looking for someone with experience in endangered species recovery. The rest, as they say, is history! Q: Can you please explain a bit about your role at CLT Argentina? A: From 2005 to 2015 I was in charge of coordinating our rewilding program aimed at reintroducing locally extirpated species. By 2015 it was obvious that my role was getting too broad, because I had to manage a growing team of professionals who were actually in charge if the animals, getting all the permits from authorities, which is one of the toughest jobs in conservation, and also managing communication, fundraising, and training. It was just too much. With Sofía, our Director in Argentina, we decided to split the job and look for a person who would be mostly focused on the actual rewilding, while I would focus more on strategic communication and institutional issues for all of CLT Argentina. Q: What does rewilding mean to you? A: It means working hard to get things better in the natural world, not only avoiding that they get worse. It’s something proactive and inspiring, instead of just being reactive and “on the defensive.” Through rewilding we can really improve the state of the natural ecosystems that we are entrusted to care for, and also inspire people to support conservation! 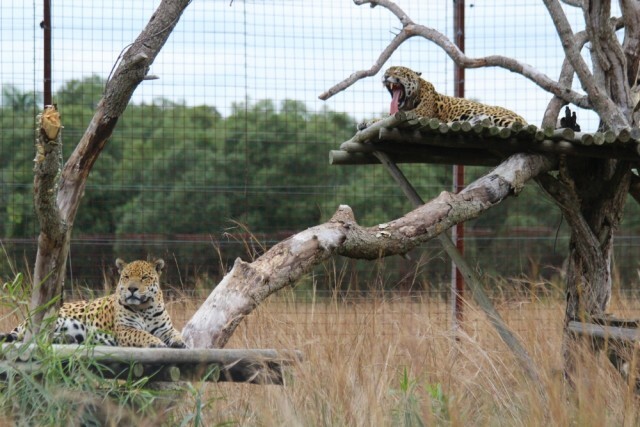 Q: Can you explain a bit about Iberá’s jaguar reintroduction program? What are the program’s goals for 2017? A: The jaguar program in Iberá is the apex of the Iberá Rewilding Program, both because it is the most difficult species to work with (you don’t want to work with an animal that it’s either hated/feared or loved, with no space in between!) and because it implies bringing back one the most important pieces of the whole ecosystem (i.e. it’s a top predator; like the “dome” of this “natural cathedral” that is the Iberá landscape). In the end we were surprised by the high level of support of the local population, because they see jaguars as a “vanished distant relative” since many local gauchos compare themselves with jaguars, as part of their cultural and natural heritage. Q: You were recently working in South Africa. Can you explain a bit about what you were doing there? A: I went to South Africa both for a family experience and for a professional goal. At the family level it was a great opportunity for my daughters (8 and 9 years old) to live in another culture, improve their English and enjoy amazing wildlife and landscapes. For the family as a whole, it was extremely satisfying. At the professional level, through my job in rewilding in Iberá (and my personal interest in organizational issues) I came to discover that Southern Africa, as a region, was decades ahead of the rest of the world regarding the restoration of extirpated populations of large animals. Knowing this, I couldn’t help but travel there to learn and bring that practical knowledge to South America! Q: What does Iberá becoming a National Park mean for the park’s rewilding initiatives? A: The Iberá Program was the result of Dougs and Kris’ vision from the beginning, and this was very clear: making a vast national park that could stand the test of time and bring back the missing ecological pieces (i.e. extirpated fauna). Without the park and its long-term legal protection, there would be no rewilding, because there would be no protected habitat for the reintroduced giant anteaters, pampas deer, tapirs, jaguars, etc. The project that inspires me the most nowadays, is a book that we are finishing that combines more than two decades of personal experience managing, visiting, studying and learning from conservation programs in four continents. In CLT Argentina we privately call this book “The Manual,” since it combines most of the experience gained in 25 years of Tompkins Conservation with what we have learned working in and visiting other conservation programs. We believe that we have been able to develop a ground-proofed method to create and manage protected areas and rewild large areas of the planet. 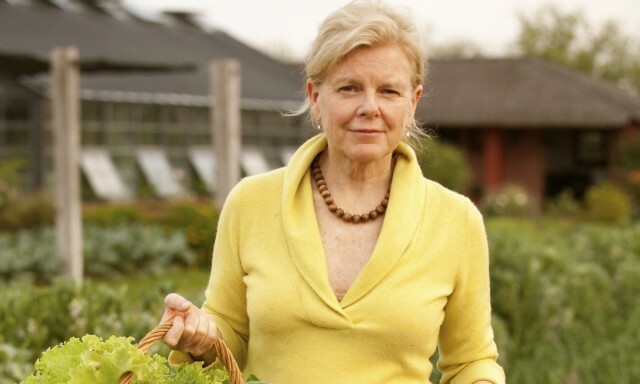 Baltimore (May 6, 2017) – Tompkins Conservation leader Kristine McDivitt Tompkins has received one of the highest honors bestowed by The Garden Club of America (GCA), the Cynthia Pratt Laughlin Medal. The medal, presented to Kristine at the GCA’s annual meeting in Baltimore, Maryland, recognizes outstanding achievement in environmental protection and the maintenance of the quality of life. On March 15, 2017, Kristine and Chilean President Michelle Bachelet signed a pledge to dramatically expand national parklands in Chile by approximately 10 million acres. When fully executed the agreement will create five new national parks – including two crown jewels of Tompkins Conservation’s park creation work, Pumalín Park and Patagonia Park, and the one million acres and world-class infrastructure they contain – and expand three others. The proposal includes the largest land donation in history from a private entity to a country; the total area to be protected, via this private land donation plus government land, is three times the size of Yosemite and Yellowstone National Parks combined. Cynthia Pratt Laughlin (1910-85), a member of Southampton Garden Club in New York, endowed this medal in 1979. Noted Delaware sculptor Charles Cropper Parks designed the medal, and previous recipients include former president of The Nature Conservancy Patrick F. Noonan (1984), The Outdoor Circle, the leading organization protecting the beauty of Hawai’i (1985), writer, environmental activist and farmer Wendell E. Berry (2008), the U.S. Green Building Council (2009) and The Pollinator Partnership (2011). 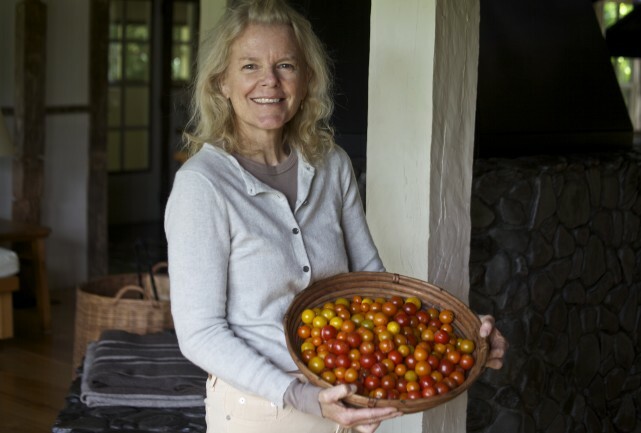 Kristine was nominated for the award by Corbin Harwood, member of the Garden Club of Chevy Chase, Maryland.